By now, we have all amassed a tidy collection of the perfect pens, or we’re well on the way to having the perfect collection of pens. To be able to view them and store them easily, we have the perfect slotted display trays. Ideal for all modern pens, vintage fountain pens, and any other vintage pen! These display trays are 12 1/8″ x 16 3/8″ each, each with 24 slots. 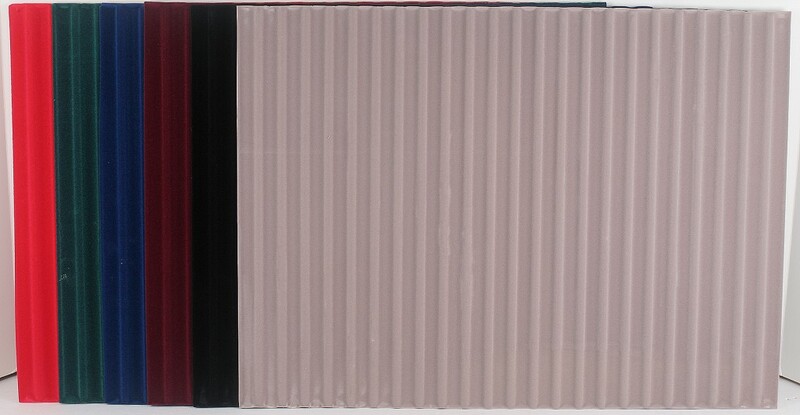 Several colors are available, including black, red, green, burgundy, blue, and grey (the most neutral). Simply cut the liner to fit your drawer. 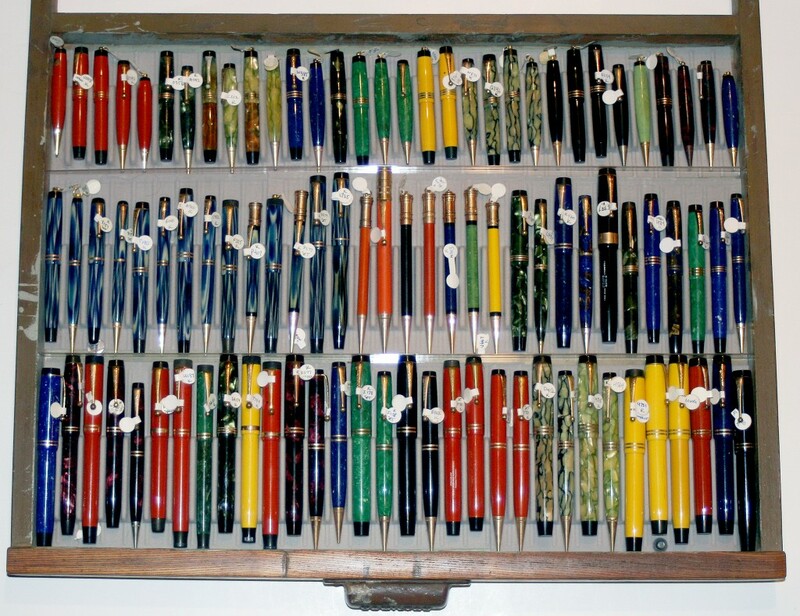 You can line up several display trays together to make an larger display that can accommodate even the most impressive vintage pen collections. Trays start at $7.00 each, for individual purchases. Please see the price list and order form here! Bulk pricing on slotted display trays is available, but please contact us for more information at info.gopens@gopens.com. This entry was posted in Modern Pens, Vintage Pen Repair, Vintage Pens and tagged Fountain Pens, Go Pens, GoPens, Storage, Vintage Fountain Pen, Vintage Fountain Pens, Vintage Pen, Vintage Pens. Bookmark the permalink. Follow any comments here with the RSS feed for this post. Post a comment or leave a trackback: Trackback URL. We would like to buy slotted displays trays for pens.